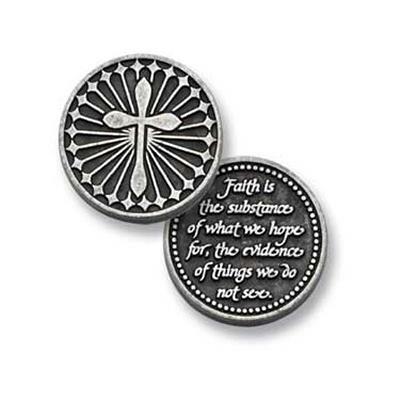 Faith is the Substance pocket token measures approx. 1" and is made of lead free zinc. Picture of a cross adorns the front. Back reads: Faith is the substance of what we hope for, the evidence of things we do not see.